Also available CARAVAN @ SEACOVE. LUXURY ONSITE CARAVAN - located in Seacove gardens with privacy screens - suitable for 2 people . Fully equipped with TV,BBQ,Linen,Airconditioning,Shower/toilet. No pool use.Caravan is not pet friendly. Absolute beachfrontage -beach gate to safe swiming beach and walking track/boardwalk.Across the road from main shopping centre. 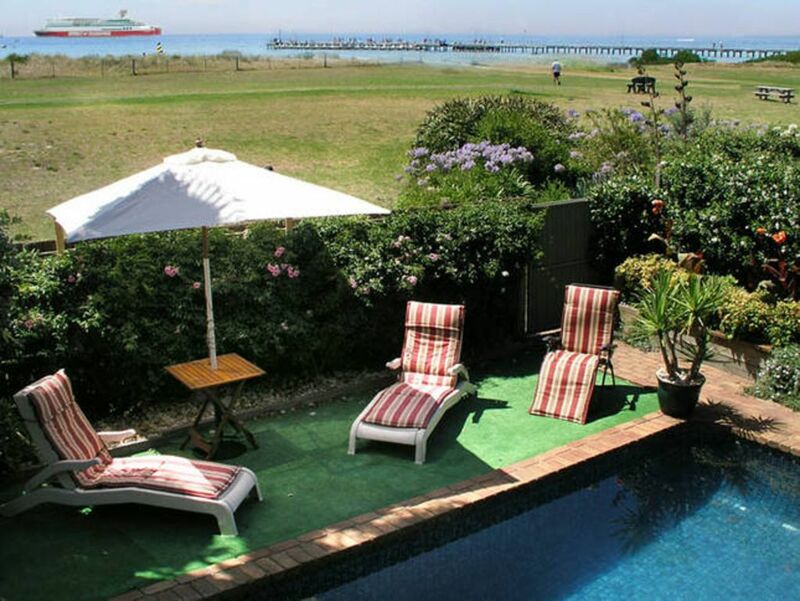 Rosebud is the heart of the Peninsula with easy access to local attractions. My partner, my myself and our furbabies throughly enjoyed our stay at seacove. We had our own swimming pool, direct access to the beach and walking paths with great views of the beach. Janice and Bill make sure you have everything you could need to have a comfortable and enjoyable holiday. They are fantastic hosts and we will definitely be back soon. We enjoyed the whole experience. Wonderful outlook. Pool, beach, walks. Loved watching the ships going past. Shops, eateries, cinemas etc. across the road. Excellent property. Can't wait for next year. Bill and Janis were great hosts and very kind. The pool was fabulous and wonderful to walk out of the back gate to the beach. great place! would go again! I am so happy that we booked the caravan for our weekend away. It was a fantastic way to enjoy budget accomodation that had much more character than a hotel room. The set up of the caravan ensures you feel secluded from the main house and you have all the facilities for user friendly visit. Thanks for accomodating us with such warm hospitallity.